What content informed this program? In 2003, we launched LIVESTRONG.org as an online resource for cancer survivors. One year later we started SurvivorCare, now known as LIVESTRONG Cancer Navigation, to directly provide free, personalized support in English and in Spanish to survivors, caregivers and health professionals. Through ongoing research, we’ve learned that our services reduce distress and help survivors and caregivers feel more empowered in their cancer journey. Hearing the words “you have cancer” can be overwhelming. We kick in the second you’re diagnosed, and are ready to walk with you on your cancer journey. Whether it’s through personalized, confidential support or guidance through our website, networking tools and LIVESTRONG Guidebook, we make sure you are armed with resources and knowledge. 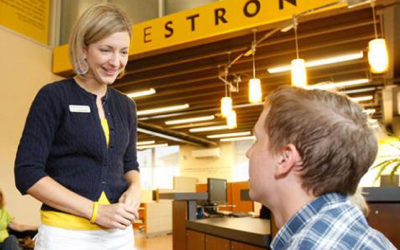 LIVESTRONG Navigation provides assistance with managing medical expenses and insurance challenges, fertility preservation, understanding treatment options, and accessing emotional support. The LIVESTRONG Guidebook, LIVESTRONG.org and LIVESTRONG Rally add complimentary assistance to our personal support services. We partner with best-in-class organizations to ensure that our clients receive timely and comprehensive support and information. Want to start your own nonprofit? Download the Community Toolkit. Donate to LIVESTRONG and know that your donation will make a difference in the lives of people affected by cancer. Eighty-three cents of every dollar goes directly to our free services for cancer survivors and their loved ones.